At Andromeda, we offer human machine interface (HMI) displays for the electrification of transportation and equipment. Centralize and decode EV specific data from BMS, motor controllers and chargers. Monitor critical data for vehicle diagnostics and troubleshooting. Maximize driving range by accurately displaying information onto HMI displays. Display critical faults and status information to ensure efficient energy consumption. Remotely manage the efficiency and performance of ESS. Optimize operational costs by arranging scheduled maintenance through IoT services. Display critical information on residential, workplace and commercial chargers. Connect charger and vehicle data to IoT platforms to enable smart charging features. Monitor instantaneous energy and remaining charge times. 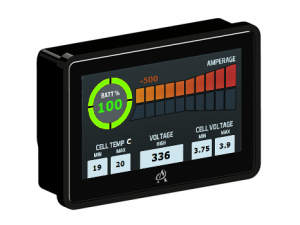 Take advantage of EV-TOU pricing plans by simply setting them up on the HMI. Vantage EVs take advantage of EVIC as an LCD instrument cluster to monitor the performance and diagnostics of their lead acid or lithium based energy storage systems and motor controllers. Green Machines have zero emissions, are less expensive to operate, and have better performance metrics than diesel powered machines. Their equipment complies with SAE’s J1939 protocol for CAN communication and utilizes EVIC for monitoring data coming from battery management systems and motor controllers. The Intelli-Gauge decodes CAN bus data into human readable form and displays onto a 4.2″ HMI screen. IG is 100% standalone, compact and ruggedized display device and is configurable with our free software tools. IG is ideal for marine, e-scooters, e-bikes, and electric vehicle applications. EVIC decodes CAN bus data into human readable form and displays onto a 7″ HMI screen. EVIC is 100% standalone display device and is configurable with our free software tools. 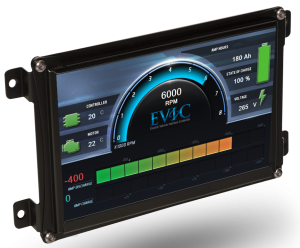 EVIC is ideal for installation in stationary applications and monitoring in electric vehicles or equipment. 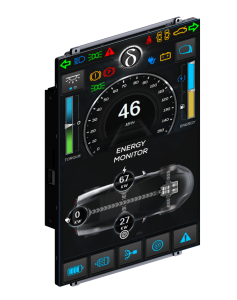 The Advanced Telematics Display Module is an HMI development kit with multiple options for displays. ATDM comes standard with 10.4″ capacitive touch screen. 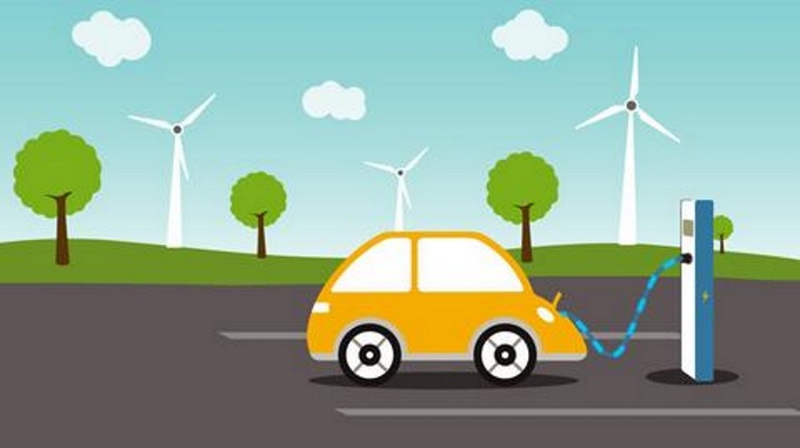 ATDM is ideal for electric vehicle development and energy storage systems. In addition, ATDM incorporates cellular connectivity to perform remote diagnostics and maintenance.